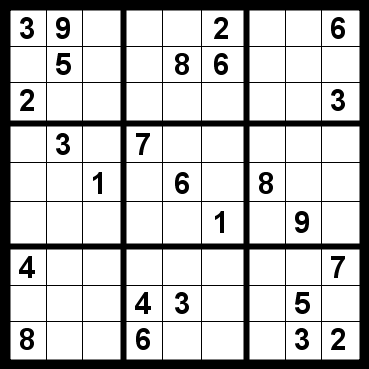 Though the Sudoku puzzle was invented in the 1970s in the United States, it first became popular in Japan. In the last decade, this mind-boggling number puzzle has gained immense popularity among the people of the United States. It is very often found in newspapers, magazines, etc. If you are a hard-core Sudoku fan and simply can’t resist solving one, you may find making you own Sudoku for your friends and family equally irresistible. Ample computer programs may help you to make one, but it just can’t beat the fun there is in making your own Sudoku manually with a paper, pencil, ruler and your mind. Sudoku puzzle consists of a grid that is divided into small blocks, sub-divided into squares. The numbers 1-9 are placed in the squares such that no one number is repeated within a block, row or column. This data is for the most common form of grid of 9*9 squares, divided into blocks of 3*3 squares. The grid size may vary. The instructions given below are meant for a 9*9 pattern Sudoku grid. You may adjust the size accordingly. 1. Build a blank grid. Make a grid and divide into nine rows horizontally and nine columns vertically. Demarcate blocks with a dark marker, such that each block has nine squares, of 3*3 pattern. 3. Erase some numbers to fill in while solving. Once your grid formation is done correctly, the next step for you is to erase selective numbers from some grids in which numbers will be filled while solving. For a symmetrical Sudoku puzzle, you need to remove the numbers from corresponding positions. If you erase one number from the top-right square, you will have to remove one from the bottom-left as well. You must also make sure that after every removal, your Sudoku puzzle must have just a single unique solution. Carry this process till you have removed as many digits as you want to with only one possible solution. This is all you have to do. After this, you just have to sit back, enjoy and have all the fun while your friends and family work out a solution for your Sudoku.